Internet sensation the One Pound Fish man has returned home to Pakistan a hero after being asked to leave Britain because his visa had run out. 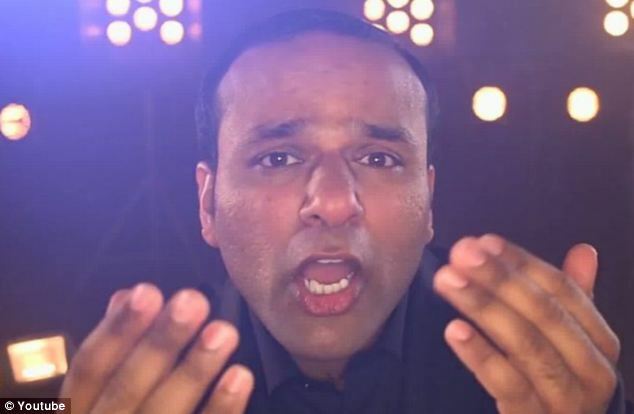 Singer Muhammad Nazir, who was bidding for the Christmas number one spot with his catchy song about cut-price fish, was told by immigration officials in Britain to get a flight back to Pakistan and not return until his paperwork was sorted. 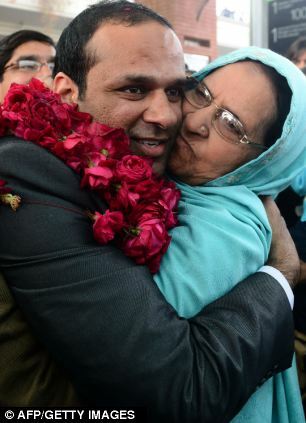 But as he touched down at Lahore airport he was greeted by hundreds of fans who turned up to honour the singer. Mr Nazir, who reached number 29 in the UK singles chart with the song he composed to entice shoppers at the east London market stall where he worked, has said he plans to take the song to France and the United States as part of a bid for worldwide fame. 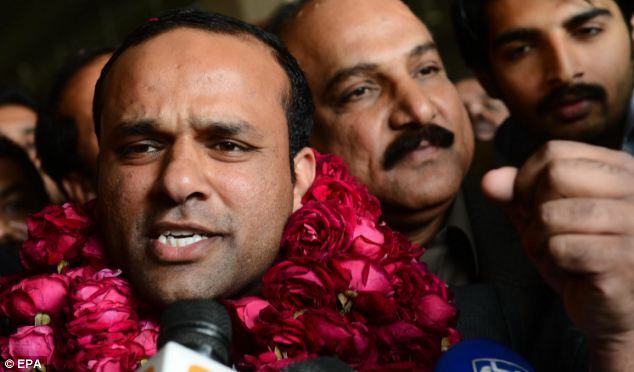 Chants of ‘long live One Pound Fish’ rung out as he arrived in Lahore today from the crowd of about 250 people, which included local politicians, the Bangkok Post has reported. 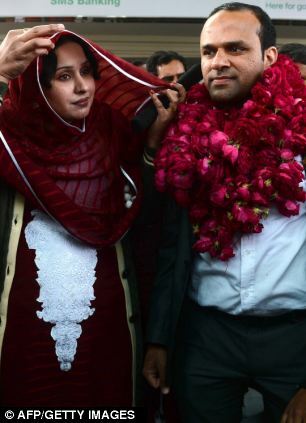 Meanwhile, television networks also reportedly interrupted coverage of the fifth anniversary of former prime minister Benazir Bhutto’s assassination for his return. The father-of-four’s song has proved to be a sensation and has attracted more then 8m hits on YouTube. The song originally became an online hit after he was filmed singing it at his stall. That video alone has attracked nearly 7m views as well. 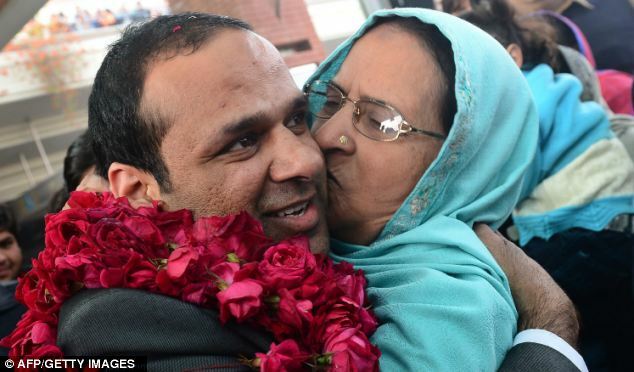 Mr Nazir, from the small Punjab town of Pattoki, has said he will not forget the place where his fame began. The Bangkok Post reported how Mr Nazir had insisted he had returned to Pakistan to apply for a French visa and that he planned to return to London.